There is a lot of truth in this, because the movement in the open air is the basis of health. That’s why we take gloves and run to forests, parks and gardens for fresh nettle. March is the best time to harvest. We can remove it and then drink it in the form of infusions, use as a hair rinse. But later, in spring, I encourage you to drink freshly squeezed nettle juice. Nettle has a protective effect on the mucous membranes of the body due to the high content of beta-carotene (provitamin A). The chlorophyll contained in the cut inhibits the development of viruses and allows the lungs to expel the remains of chemical vapors, coal dust, tobacco smoke – something that is in effect after the heating season. If you’re looking to improve your health, nettle is a fantastic herb to incorporate into your overall nutritional plan. Let’s take a closer look at the health benefits of nettle. Nettle is packed with minerals, especially magnesium and calcium. Studies have shown that nettle has more calcium, magnesium, potassium, boron, phosphorus, and strontium than other popular herbs including peppermint, sage, and even chamomile. Also due to the content of beta-carotene, the nettle has a protective effect on the lungs and large intestine. And as we know, the large intestine is our body management center (to pair with the brain). It works as a gentle diuretic and improves the functioning of the kidneys, so it is good to get rid of excess water from the body. It has beneficial effects on the kidneys, urinary bladder and urinary tract, and thanks to chlorophyll for hair growth and blood reconstruction, which is important for people with anemia or, for example, those with celiac disease. Nettle juice is a very good way to deliver folic acid to the body, which we often lose while cooking green vegetables. And folic acid, together with iron, copper and vitamin K – nettle ingredients – are involved in the formation of red blood cells and hemoglobin, that is, improves the quality of blood. 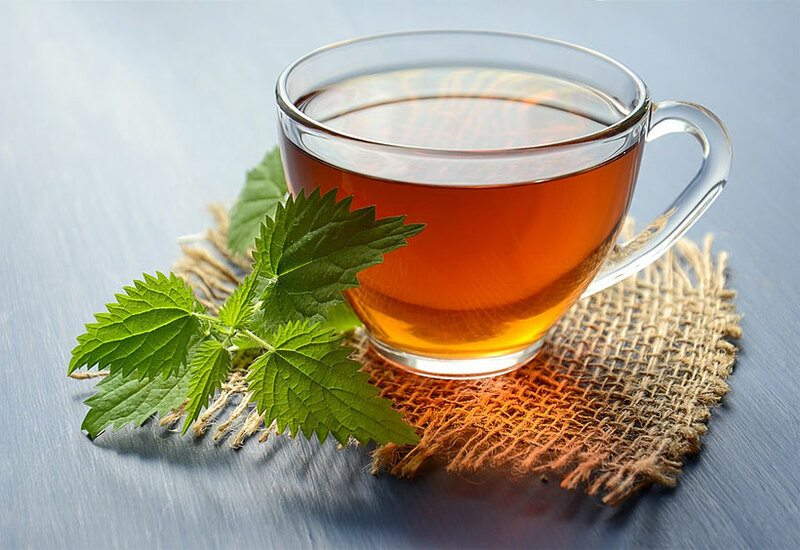 Nettle contains a lot of antioxidants in the form of vitamins C, E, folic acid or beta-carotene, which deal with these free radicals, responsible for the aging of the body and the formation of diseases.Therefore, it helps to keep our body young. The health benefits of nettle are many. Nettle is packed with minerals, folic acid, antioxidants, and other key nutrients. There’s a reason nettle has been a stable among herbalists for centuries. Stinging nettle grows wild in temperate regions globally so the usage of nettle as a nutritive herb is widespread too. This means getting a hold of some is as simple as buying nettle tea at your local grocery store or visiting your local herbalist. If you’re looking to improve your health, try some nettle tea today for some easy and refreshing nourishment!